Things are happening in Saudi Arabia and it has Americans everywhere cheering because despite what Hillary Clinton or others might tell you, they are not our friends. 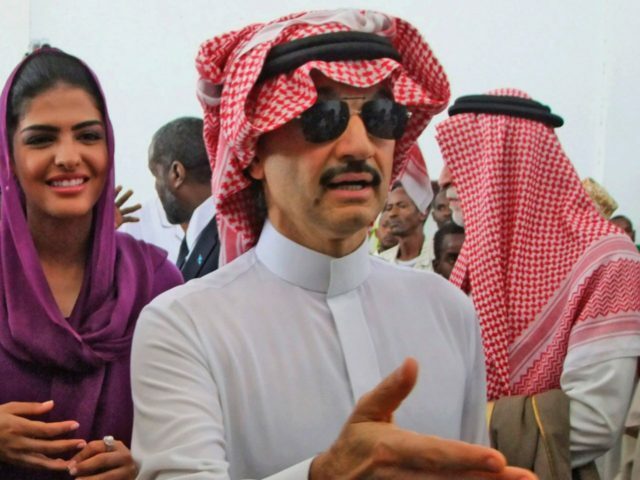 On Saturday, King Salman ordered the arrest of 11 princes and dozens of former ministers, among which was billionaire Trump-critic Prince al-Waleed bin Talal, who has invested in multiple American companies including Twitter and Citigroup. The arrests come as the Crown Prince Mohammed bin Salman was chosen to oversee an anti-corruption probe in which all of the arrested were named as suspects. According to local media, the committee will be looking into the group with regards to the deadly flooding that overtook parts of the city of Jiddah in 2009, as well as the government’s response to the MERS (Middle East Respiratory Syndrome) virus that has killed hundreds in the past few years. Saudi Arabia’s top council of clerics confirmed that they had permission to detain the higher-level officials because it is their “Islamic duty” to fight corruption, basically meaning Allah ordained the arrests. Royal order indicates that this anti-corruption committee was created “due to the propensity of some people for abuse, putting their personal interest above public interest, and stealing public funds.” It will be allowed to trace funds, issue arrest warrants, impose travel restrictions, prevent the transfer of funds or the liquidation of assets, and freeze bank accounts. A number of officials have also been replaced in their duties by the king. Prince Miteb bin Abdullah was the head of the National Guard and has since been replaced by Prince Khalid bin Ayyaf al-Muqrin who, until now, had only served in a senior post with the Guard. Minister of Economy and Planning Adel Fakeih was replaced by his deputy Mohammad al-Tuwaijri and the commander of Saudi Naval Forces Admiral Abdullah Al-Sultan was removed from his position, with Admiral Fahd bin Abdullah Al-Ghifaili taking his place. This could be really good for the king as far as replacing old power with new, but it could also end badly as there can be negative consequences when you try to do too much too quickly. It’s like trying to pull too many blocks out of the Jenga tower too fast, eventually it will all collapse, but moving too fast will speed that along. Whatever the case may be, this is something that Americans should keep our eye on. We have a lot of connections to Saudi Arabia and they might be affected by this anti-corruption investigation.